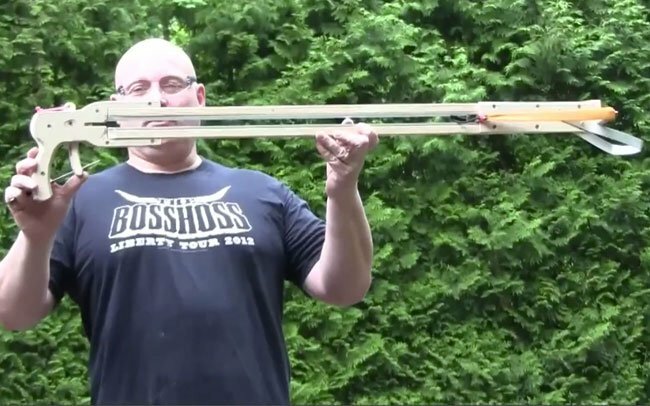 Slingshot master Jorg Sprave has been busy again this month and created a deadly, throwing knife slingshot. Rather than using steak knives as in his other recent creation, Sprave has opted for throwing knives which allow his slingshot to be very accurate. Watch the video after the jump to see it in action.